Before you adopt, finding a veterinarian that you trust to help you keep your pets healthy and happy is crucial. After all, your pet depends on you for every aspect of its quality of life. Here’s a handy list of things to consider while seeking a vet who fits your care philosophy and budget … And who can provide the best care for the new furry, feathered, or scaled member of your family. Finding a veterinarian is easy when you search the American Animal Hospital Association (AAHA) website. Here, you’ll find a list of accredited vets in your region. You can also ask for recommendations from friends and family. Pet owners you know who have a similar approach to pet care as you will know how to find a good veterinarian. They’ll also be familiar with the cost of basic health services at that facility. Another great way to find a vet is to check local pet lover’s groups online … Or you can ask your neighbors. You’ll find some of them more than delighted to offer their opinions and suggestions. If your furry friend is a purebred or a senior, he may be subject to certain congenital disorders or require specialty care. In that case, you’ll need a vet who can handle these issues. For some pets, such as rodents and reptiles, you’ll need a board-certified specialist. Board certification means the veterinarian has had extra two to four years of specialized study. 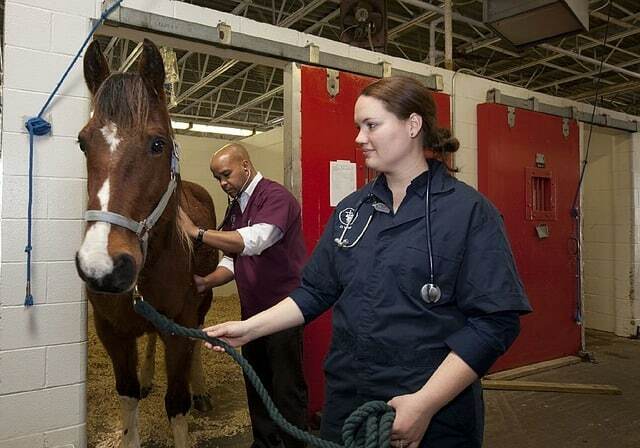 There are 22 veterinary specialty organizations recognized by the American Veterinary Medical Association (AVMA). These include 41 specialties, such as avian (bird) specialists, equine (horse) specialists, farm animal specialists. They’ve also included zoological specialists who treat wildlife and hybrids. Finding a vet with the right board certification is easy with the American Veterinary Medical Association (AVMA) website’s search engine. 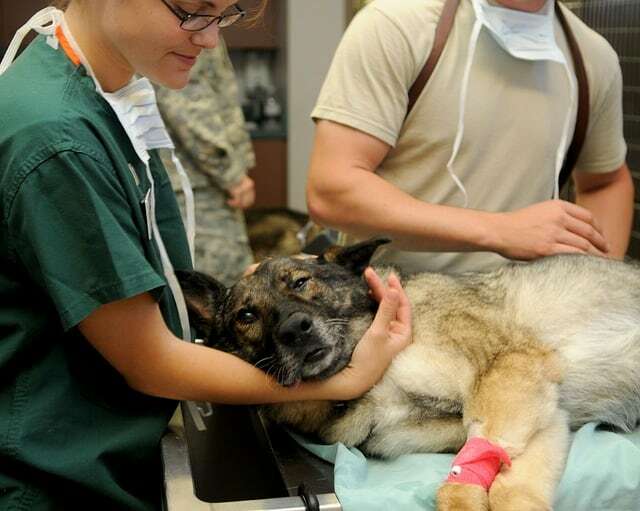 Sadly, some vets don’t live up to expectations. Others, while highly competent, may simply not be a good fit for you or your pet. The American Association of Veterinary State Boards (AAVSB) keeps records of complaints against veterinarians. While they don’t share that information with the public, they do provide a directory of the various state boards. For the directory — or to search a vet’s credentials — visit the AAVSB’s website. When finding a veterinarian via online reviews, you’ll need to take them with a grain of salt. People with a bone to pick are more likely to take their frustration to the web. This often happens with the emotional fallout from the tragic loss of a family pet, even when it isn’t the vet’s fault. You can also check the Better Business Bureau to see if any complaints have been filed against a particular vet. Be forewarned these complaints relate more to the vet’s billing or business practices than their care. Schedule a regular check-up before your pet gets sick to see how the staff interacts with your pet. You’ll want them to be kind, gentle, and loving towards animals. Make note of the environment and how clean it is. You should also stay for a while and see how well staff manage any conflicts with animals that arise. A busy clinic is probably a good clinic, but that won’t matter if it stresses out your pet. If you’re forced to take extreme measures to keep the fur from flying, it may be too busy. Sometimes the good but over-crowded clinic is all you can afford. If that’s the case, call or check their website for advice before your visit. For many pet guardians, cost is a weighty factor when finding a veterinarian. The Humane Society offers low-cost preventative services such as vaccines and prescription drugs along with their spay/neuter programs. 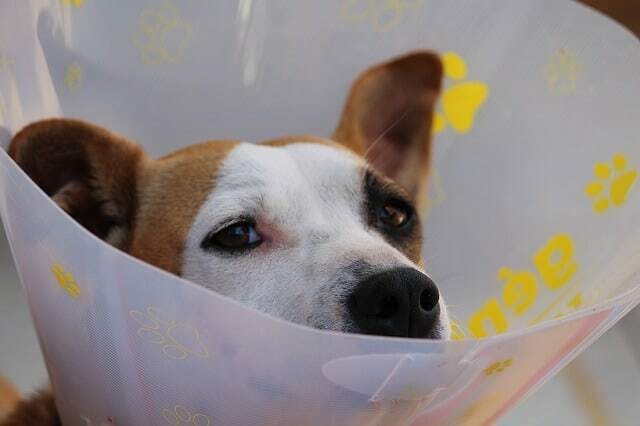 We also have information on how to find low-cost veterinarian services and low-cost spay and neutering here and here. 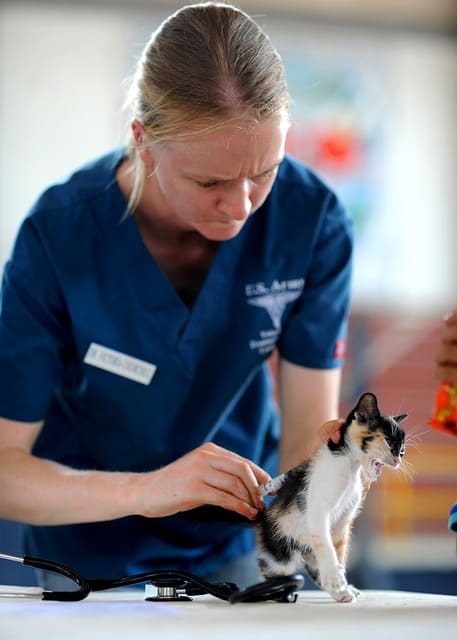 If you’re lucky enough to live by an accredited Veterinarian College, you may be able to qualify for low-cost services for your pet through the school’s community outreach or practical clinic programs. You can search the AVMA website for nearby colleges and their programs. The Humane Society also keeps a list of financial resource programs to help pet guardians pay for needed services. Just like any other member of the family, your pet needs routine checkups and shots, as well as a trusted doctor who knows your pet and is familiar with their health history in the case of illness or injuries. Don’t put off finding a veterinarian when bringing home a new pet. Reduce the anxiety of caring for your pet by finding a good veterinarian you can trust and afford before it’s an emergency.